CBN is partnering with Convoy of Hope Europe to bring relief to refugees in Calais. This camp represents the final stop on a very long journey for many refugees who had to flee from violence, with little or no support from local government. The camp houses refugees from various countries including Eritrea, Sudan, Kuwait, Pakistan and Syria. The situation is appalling with only enough food to supply one meal per day. Rubbish is covering the ground and there is a great need for sanitation. As bad as conditions are now, they will get worse when the rains come. The Pakistani area is already sitting in a pool of water. There are a few actual tents, while most shelters are made from tarps, strapped together. Through a partnership between Convoy of Hope Europe and CBN we are together able to bring relief to those who need it most through a major distribution of food, hygiene products, clothes, and shelter. An industrial washing machine and dryer are being installed at the local church we partner with, to provide clean and dry clothes for people. Bibles are being distributed in various languages, sharing a message of love and hope to the various language groups presented. 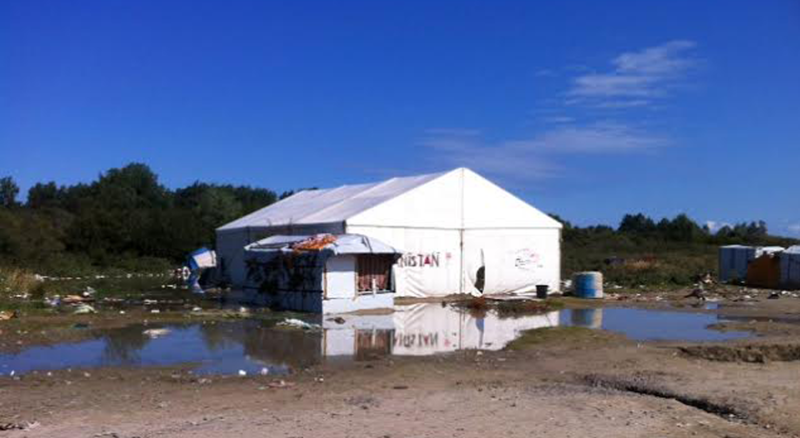 We are endeavouring to put a temporary church facility inside the camp. The Orthodox church already has a make-shift building which is opened several hours a day for prayer. Thank you CBN partners for making it possible to reach out to refugees in Calais, and other places in Europe. While working with Convoy of Hope in Calais we are also taking steps to reach out to refugees in Germany through our Hamburg office. If you would like to make a special gift to help CBN’s efforts to bless and impact refugees in Europe, contact us on 0300 561 0700 (UK) or call +44 207 101 7045 (outside UK). To find out more about Convoy of Hope and the latest updates visit www.convoyofhope.eu.